I arrived along the river at sunrise and spent the entire day wandering along its edge making images. As so often happens it was almost dark before I began the hike back. 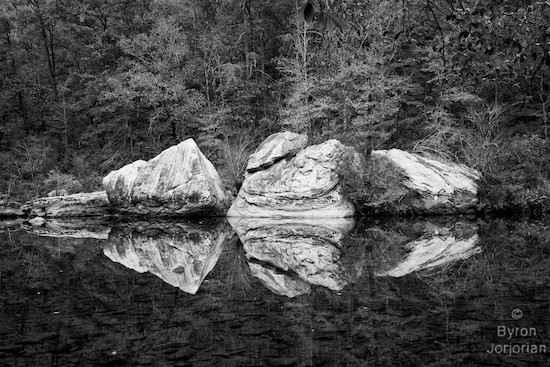 I hadn’t gone very far when I saw these boulders reflecting in the water. I paused to create this image and “reflect” upon the day with them.